Hisense have announced their suite of 2018 ULED Televisions set to land on retailer shelves across Australia in the coming months. This includes the Premium ULED Series 8 and 9, as well as the award-winning 4K ULED Series 7 - all originally shown off at this year's CES in Las Vegas. “We’ve experienced the strongest demand ever in the Australian market for our premium ULED 4K products. We’re continuing to build on this growth by taking our feature-rich ULED range to the next level, expanding our UHD Premium and Quantum Dot technology offering; to provide Australian consumers with more choice,” said Andre Iannuzzi, Head of Marketing at Hisense Australia. With the company keen to enhancing its current ULED 4K range, Hisense’s 2018 TVs boast a number of innovations that the company says will provide the best picture quality, including Prime Array Backlight technology (found in Hisense’s Series 9 TV) - which opens up more than 1000 zones of local dimming. 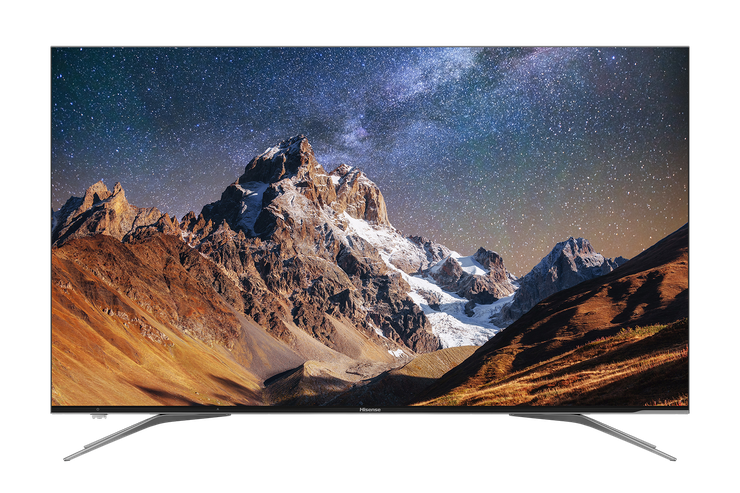 Hisense’s Series 9 TVs also feature HDR Supreme with 2500-nit Peak Brightness and Ultra HD Premium certification, which the company claim conform to the highest industry standard and help create a true cinema experience as filmmakers intended. “Whether you’re ready to upgrade to a 65-inch panel or a larger than life 75-inch panel, Hisense’s Series 9 is our most impressive TV. Our TVs produce the most accurate depth of colour and brightness while maintaining superior black levels,” said Chris Mayer, Product Specialist at Hisense Australia. 2018 also sees last year's Sports Mode extended across the entire range. Meanwhile, Hisense say gamers can make the most out of their 4K gaming consoles with the new Game Mode. This setting allows the TV to display the gaming console at full speed directly to the TV, bypassing upscaling and other picture enhancements that 4K HDR consoles do not need to operate. Hisense’s latest ULED 4K range will go on sale via all major electronic retailers across Australia, from mid-May onwards. Details on the company's first OLED TV are still scant, with the company saying they intend to reveal more in Q3. Full pricing and sizings for Hisenses' ULED range is as follows. The 75-inch Series 9 ULED TV arrives at $6499. Its 65-inch counterpart is priced at $4499. The 75-inch Series 8 is priced at $4999 while the 65-inch model carries a RRP of $3699. Finally, the Series 7 ULED is available in 75-inches for $4499, 65-inches for $3299, 55-inches for $1999 and 50-inches for $1499.